They are from Jyväskylä, Finland. And they deliver the thrash like it’s 1986. High Tops with the tongues sticking out. Check. Layers of flannel, denim, and leather. Check. Long hair. Check. 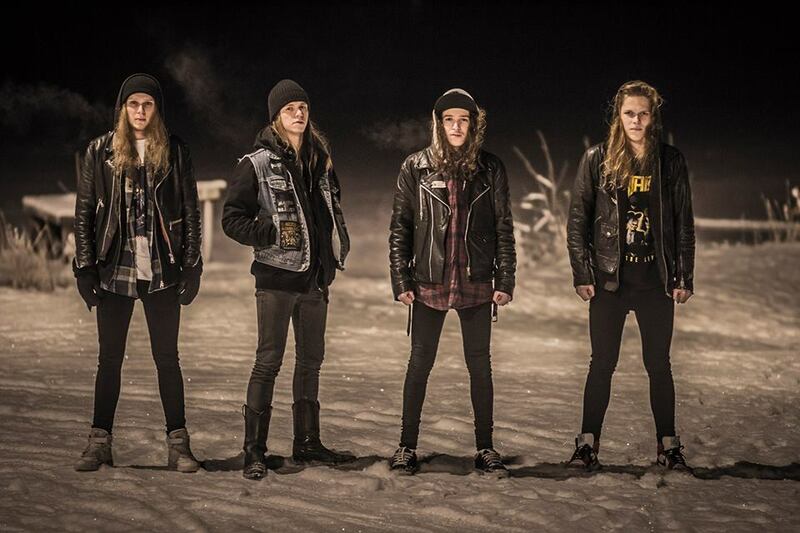 Standing in the snow… ok… NOW we are a thrash band. 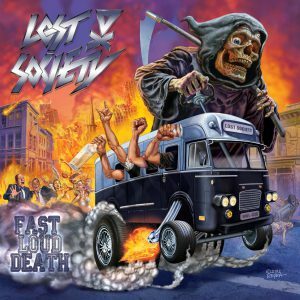 But these upstarts didn’t begin as Lost Society until 2010 and are obviously far too young to have been brought up with with the first, second or even third wave of 80’s thrash and punk bands that they liberally mine inspiration from. So obviously… parents in Finland raise their children proper. And the kids of Finland don’t care of if it’s 2016… because they know superior metal when it crushes them proper. Lost Society spent their first couple of years recording demos and winning numerous ‘battle of the band’ type competitions. After making it to the finals in London for the Global Battle of the Bands in 2012, their performance of, ‘Thrash All Over You’ was put up on YouTube. 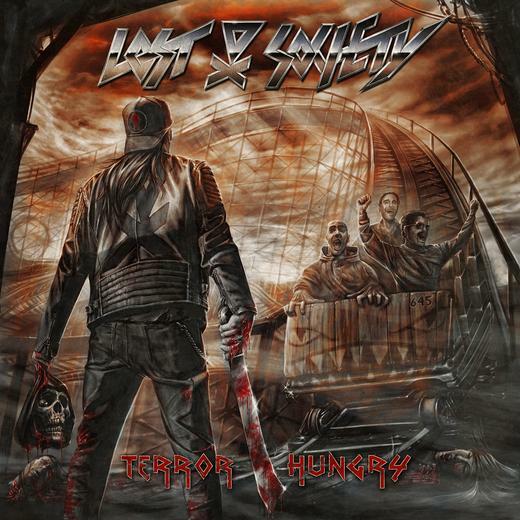 Nuclear Blast spotted it which led to them signing Lost Society to the label in the summer of 2012. Here is the video that got a band signed to one of the biggest metal labels in the world. (You can see how young lead singer/guitarist Samy Elbanna appears compared to the later videos). Here is what that song looked like a year later when it dropped on the Fast Loud Death Album. That album also spawned one of our most played tracks around the Modern Fix compound (and it IS a multi-band existing compound… dig the cred! )… behold, the mantra of the moment…’Kill Those Who Oppose Me’. 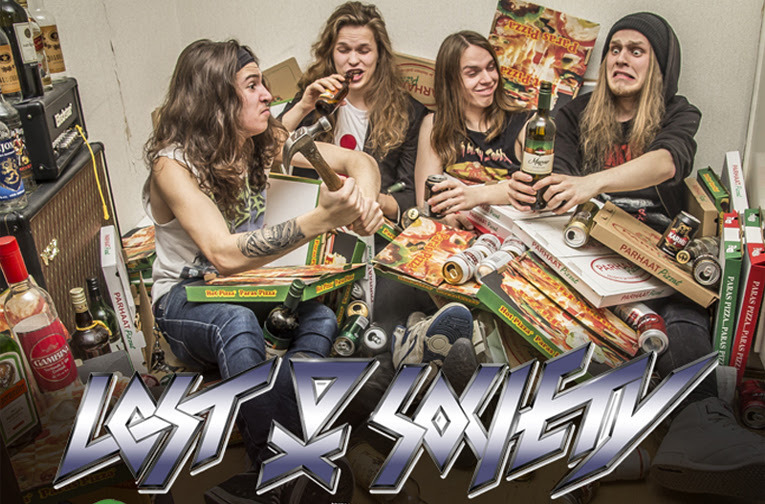 Much touring followed the success of Lost Society’s debut (mostly of the European scene with a notable high profile appearance at the Loud Park festival in Japan). By the time they went into the studio for their second album, “Terror Hungry”… the unit was becoming an incendiary force on the thrash scene, making waves as part of resurgence of the genre and gaining the respect of their peers. Witness how tight their game is on the the title track, ‘Terror Hungry’, which also highlights both visually and musically their skate-thrash-punk influences like D.R.I..
And in the truest sense of the party-thrash punk mentality that brought so much energetic joy and shenanigans to many of our misspent youths, Lost Society give us, ‘Wasted After Midnight’. *note the beer duct taped to his guitar that he drinks from while nailing an insane solo. It doesn’t get more metal folks. 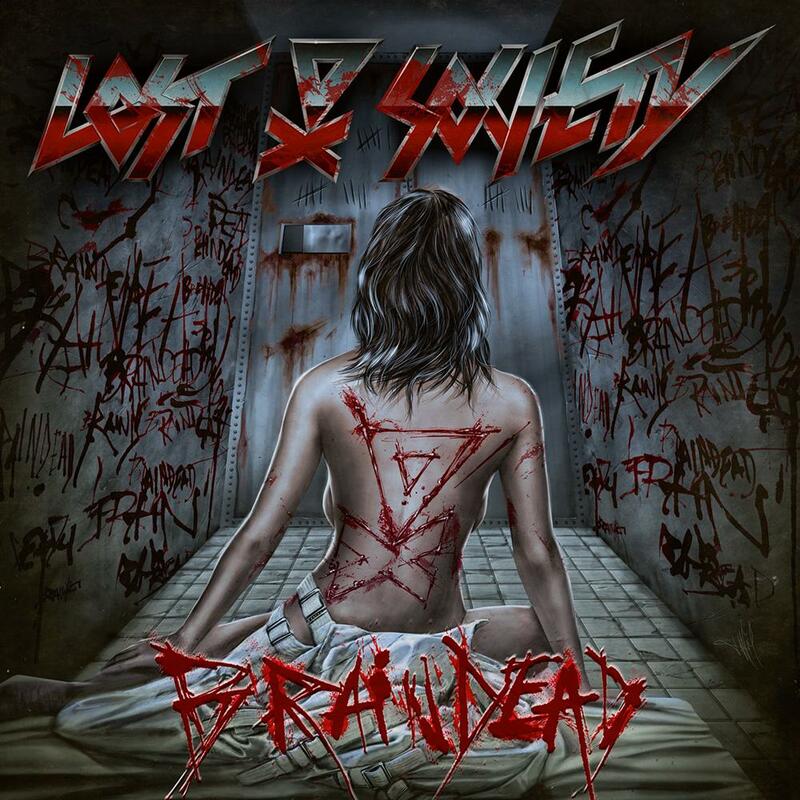 Lost Society has now become a staple of the European metal festival circuit. Several tours with notable headliners have turned the metal unit into a machine of ultimate thrash destruction. 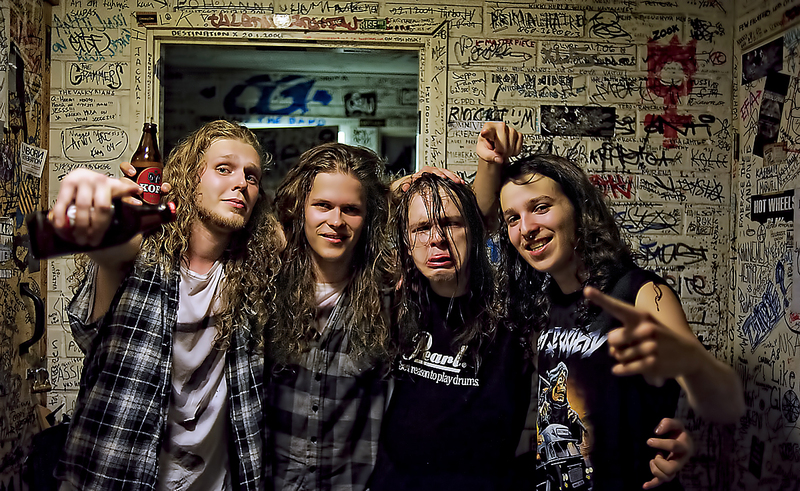 The latest weapon of which is the 2016 release of the band’s third album, “Braindead”. One of the standout tracks, and one that viciously showcases the sheer control Lost Society posses over their metal, is “I Am The Antidote”. The tempo is a grinding slow punishment of snake-line riffage… but then wait until the dual guitar battling solos carve their way in… this is like having TWO Dave Mustaines in one group. Their lead ability with nods to the melody within the speed is superior. The band is currently on tour… in Finland. 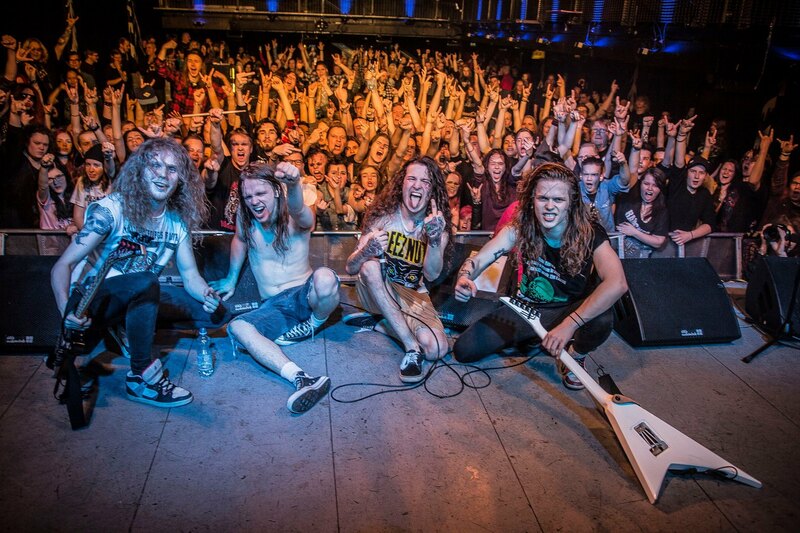 They don’t seem to get outside of the general European scene often, so if you get the chance… bear witness to the resurgence of thrash.